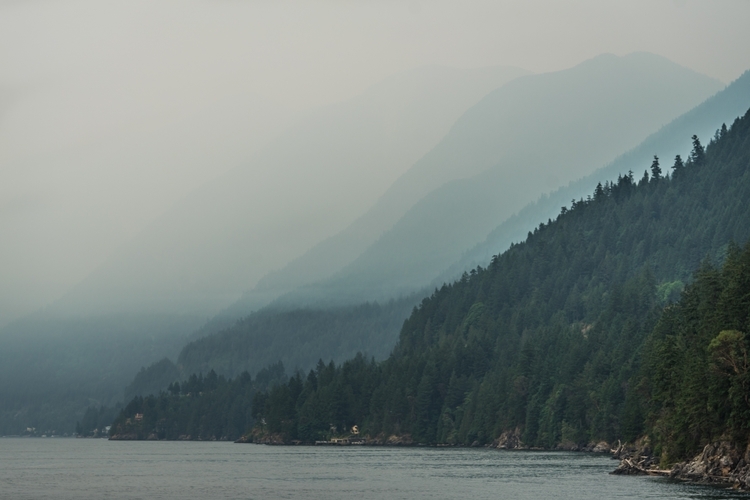 This was the view from the ferry to Vancouver Island, as we were leaving Vancouver, British Columbia this past summer. The fog/smog was from semi-local forest fires. I enjoyed how the obscuring atmosphere emphasized the various layers of hills.